The Institute of Chartered Secretaries and Administrators (ICSA), was originally founded in England in October 1891 and was known as the Institute of Secretaries. In 1902 it was granted its Royal Charter and became the Chartered Institute of Secretaries. The name has since been changed to the Institute of Chartered Secretaries and Administrators to more fully describe the status and capabilities of the members. Today, ICSA has divisions in South Africa, Australia, Canada, New Zealand, Hong Kong, Malaysia, Singapore, Zimbabwe and associate branches in many countries of the world. 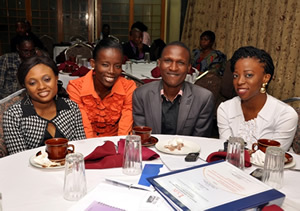 The Institute in Nigeria was established more than 50 years ago as an associate of the international body. 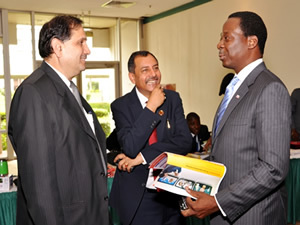 The Nigerian Chapter was granted autonomy in August, 1988 and incorporated under the Companies Act 1968. It became Chartered by Decree 19 of 1991(Now ACT CAP I13 LFN 2004). 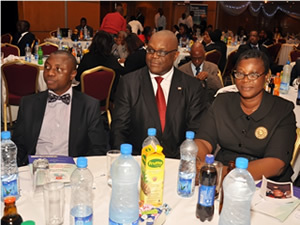 The Institute of Chartered Secretaries and Administrators of Nigeria (ICSAN) is a leading recognised professional body dedicated to enhancing the status and practice of corporate governance and administration in both the public and private sectors of the economy. The Institute’s Qualification is recognised globally. ICSAN is the only professional body authorised in Nigeria to conduct the examinations leading to the qualification of Chartered Secretaries and Administrators. ICSAN is a member of the Corporate Secretaries International Association (CSIA), registered as a global voice for Corporate Secretaries and Governance Professionals. To be the most Professional Institution in Corporate Governance and Public Administration. The object for which the Institute is established and incorporated is the promotion and advancement of the efficientadministration of commerce, industry and public affairs by the continued development of the study and practice of Corporate Governance, Corporate Secretaryship, Finance and Administration of Public, Private and Non–governmental establishments. To develop and promote the professional ideals, standards, ethics and code of conduct and the interests of the Chartered Secretaries and Administrators. Encourage potential Chartered Secretaries and Administrators to acquire professional qualification, and organise continuing education programmes and refresher courses for the profession. Create opportunities for social interaction, communication, and solidarity among the members. Establish students’ section for the encouragement and development of student activities. The Institute of Chartered Secretaries and Administrators of Nigeria (ICSAN) is a leading recognized professional body in Nigeria dedicated to enhancing the status and practice of Corporate Governance and Public Administration. ICSAN is the only professional body authorized in Nigeria to conduct the examinations leading to the qualification of Chartered Secretaries and Administrators. The Institute is a member of the Corporate Secretaries International Association (CSIA), a Geneva-registered global organization, dedicated to developing and growing the study and practice of Secretaryship to improve professional standards, the quality of governance practice and to improve organizational performance. The Association is the global voice of Corporate Secretaries and Governance Professionals. Chartered Secretaries are highly-valued by employers and benefit from a career that is well-remunerated and flexible. Once qualified, Chartered Secretaries can choose to work in the public, private or not-for-profit or set up their own business. Welcome to the profession with a world of possibilities. 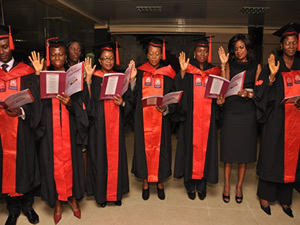 ICSAN commenced its’ indigenous exams in June, 2011. Examinations are conducted twice in a year, June and December. With the indigenous examinations, national laws and codes of various regulatory agencies are considered in the course of study. ICSAN became a member of the Corporate Secretaries International Association (CSIA) in 2010/2011. The Institute was registered under the Companies Act 1968.